As the new government in Lebanon is formed, Lebanese experts hope that the cabinet would work hard on boosting the ties with China through the Belt and Road Initiative (BRI). Proposed by China in 2013, the initiative refers to the Silk Road Economic Belt and the 21st Century Maritime Silk Road, aiming at building a trade and infrastructure network connecting Asia with Europe and Africa along the ancient Silk Road trade routes to seek common development and prosperity. Mahmoud Raya, editor-in-chief of “China in Arab Eyes” news website, told Xinhua that lots of steps are to be taken by the new government in Lebanon to boost the relations with China. Raya said that one of the things that the government can work on is to start direct flights between Lebanon and more Chinese cities in a bid to encourage tourism. He noted that Lebanon can attract Chinese tourists interested in historical and cultural activities. “Chinese tourists are very generous, so Lebanon can benefit much if it works on attracting some of the 120 million Chinese tourists that travel yearly around the world,” said Raya. He also emphasized the need for Lebanon to boost its trade ties with China. “Lebanon manufactures products of interest to China such as the Lebanese wine, olive oil and chocolate,” he said, stressing the need to boost Lebanese exports to China. In 2017, the bilateral trade volume reached nearly 1.9 billion U.S. dollars, making China as Lebanon’s second largest trade partner. Figures released by Lebanese customs showed that during the 2013-2016 period, China remained as Lebanon’s largest trade partner and the largest source of imports. 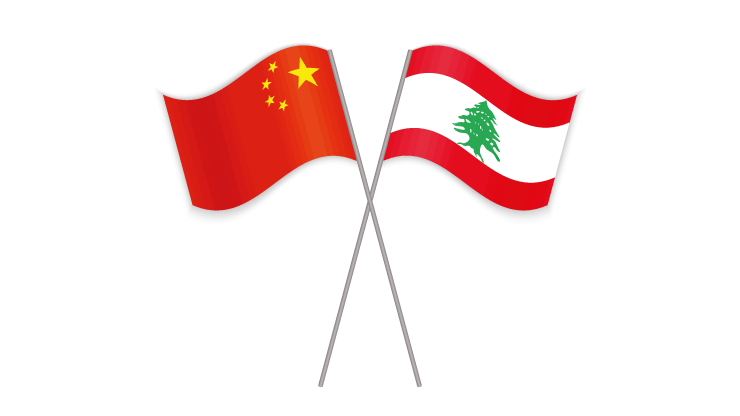 Lebanon’s top imports from China included electrical machinery and equipment, plastics, furniture and vehicles, while Lebanon’s exports to China mainly include copper, plastics, beverages and cocoa. Nabil Srour, a Lebanese writer and researcher of international affairs, reiterated Raya’s comments, saying that Lebanon can focus on exporting Lebanon’s traditional products in a bid to boost its trade ties with China. He noted that the new government should be aware that China is a key international and regional player through the BRI. Srour said that the potential of cooperating with China is huge after the new government appointed a new minister for external trade affairs that focuses on Lebanon’s relations with foreign countries. Mohamad Zreik, writer for “China in Arab Eyes,” also called upon the new minister for external trade affairs Hassan Mourad to attach a great importance to the Lebanese-Chinese relations in the coming years. “The initiatives created by China, including BRI, will turn the country into a huge economic hub connected to all economies of the world,” Zreik said. He added that China can be a big contributor to Syria’s reconstruction and it needs Lebanese ports and land facilities for this big project. Toufic Dabbousi, head of Lebanese Tripoli’s Chamber of Commerce, Industry and Agriculture, has on many occasions expressed his interest in cooperating with China on several projects including the expansion of Tripoli port. “We are planning to expand Tripoli port and other public facilities including the Rashid Karami exhibition center and Rene Mouawad Airport to bring benefit to the public and we would certainly like to benefit from the Chinese expertise in these areas,” he said. Meanwhile, Lebanese political researcher Adnan Bourji said that Lebanon needs railways and metros to get over with its traffic problems. “Lebanon should build a railway from Tripoli to Tyre to transport products and passengers. China has expertise in this field,” he said. Bourji said that education and cultural field also bears a big potential of cooperation between China and Lebanon. “China is interested in teaching Arabic language to the Chinese youths. And the Lebanese university has a program which can be developed further to bring Chinese students to Lebanon and introduce them to the Lebanese language and traditions,” he said. As education and cultural ties have been enhanced in the past few years between Lebanon and China, the new government can work on boosting them further, Bourji added. A very good and productive start if it is implemented correctly.